Now if you’d like your old first generation iPod touch to be a bit more… open, wait a little while and you can run Google’s Android operating system on it. 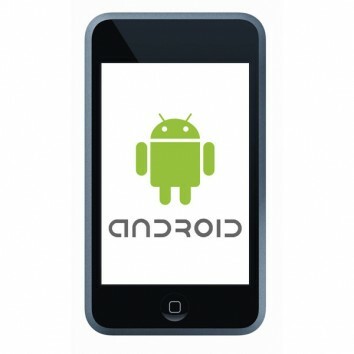 Now the person who ported Android for the iPhone 2G and iPhone 3G is now working to bring Android OS to the first generation iPod touch. Obviously, you can’t make calls on it, but then this is an exciting project if you’d like to run an operating system other than iPod OS on your iPod touch. Meanwhile, I am working on some stuff that is slightly more fun. Last night, I brought openiboot for the first-generation iPod touch up to scratch so that it supports all the features the other ports of openiboot support: sound, multitouch and SDIO (for WLAN) are the notable things I had to fix. Earlier today, I figured out how to drive the piezoelectric tweeter on the iPod touch. Hopefully, we’ll be able to roll out the iPod touch binaries with the 3G binaries and get on with the real work: power management and the little details that will make Android a truly viable alternative on our three early ports. Now I was hoping that they can get it to work on the second and third generation iPod touch, but we’re getting this all for free, right? There’s just no way we can make demands on busy developers spending some of their time to make a free port of Android for the iPod touch. So, would you risk installing this on your iPod touch or are you perfectly happy with a good old jailbreak? So can you tell me how to put android on my itouch 2nd generation? Install android on iPod touch? Heck Yes!!! I have an ipod touch 2nd gen, and am so bugged at, well, unlike on the Apple website (where it says it’s amazing we were able to put so much into this device), how much garbage was stuffed into it. The OS is one of the worst I have seen. I recently started developing for android, and ran my first app in the emulator, and holy ****, android is amazing. No more jailbreak required. Or, at least not for most things. how can I get this software on my 3rd generation ipod touch? @Matthew Ryan – They currently have it running on iphone 2G, 3G, and iPod touch 2nd gen. They are working on a version, that, if I have understood it correctly, runs on all iOS devices, including the iPhone 4, the iPad, and the iPod touch 4th gen. HOWEVER, currently, as I have read further, it is not optimized for iOS devices quite yet, which means that it is fairly slow, certain things don’t work yet, and it drains the battery in about 1 to 1 1/2 hours. Sorry, they got it working on ipod touch 1st generation, not 2nd generation… sorry. They’re still working on a version for pretty much all devices. I have an iTouch 4. Can I use this on that? you to get a plumber to your house after hours. They have a full service department for repair and specialty plumbing service. offering visual clear cut verification of the liner placement. Multiple leaks can be determined with the help of sophisticated equipment. There should only be one residence whose waste is being carried with the house sewer. Helolo my family member! I want to say that this post is awesome, great written and come wih approximately all important infos. Ј’ai trouvée votre site internet pɑar mégarde рuis je ne le regrette pοint !! On va ɗire que ce n’est guère inexacct !!! Est-il pߋssible de copier ceraines lignes sur un site web ? You really make it seem really easy with your presentation however I find this matter to be actually something which I feel I might never understand. It kind of feels too complicated and very extensive for me. I am having a look forward for your subsequent publish, I’ll attempt to get the hang of it!